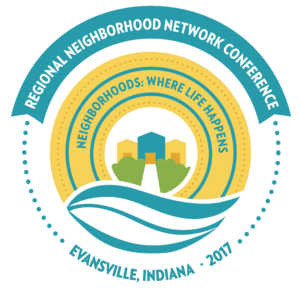 The Regional Neighborhood Network Conference (RNNC) is an inspiring three-day event hosted each year by one of 20+ Midwestern cities and 5 states: Illinois, Indiana, Kentucky, Ohio and Tennessee. RNNC features a wide variety of workshops about state of the art approaches to neighborhood improvement, presentations by experts and leaders in urban and neighborhood development, and lots of fun, food, and entertainment! The conference gathers community leaders, neighborhood volunteers, corporations, local government agencies, philanthropists, real estate developers and businesses together to exchange information and gain valuable ideas to take back and help improve or transform their own communities. The RNNC features a wide variety of workshops about state of the art approaches to neighborhood improvements, area redevelopments, crime, safety, and public & private investments. In addition to these informative workshops, the RNNC is a great opportunity to network with your neighboring peers from other states as well as enjoy the amenities of the host city. Visit the RNNC website and follow on Facebook for updates on this great event! 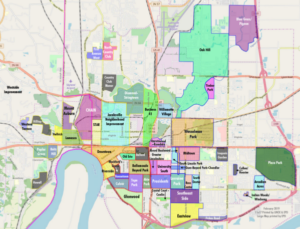 United Neighborhoods of Evansville, in cooperation with Evansville’s Department of Metropolitan Development, co-sponsored the 2017 Regional Neighborhood Network Conference.